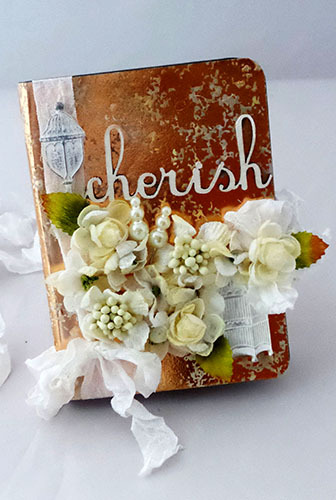 This project is a great way to spruce up your own journal or make one for a friend! Trim paper to fit around the outside of the journal. Put it through the Xyron New Creative Station and adhere in place. 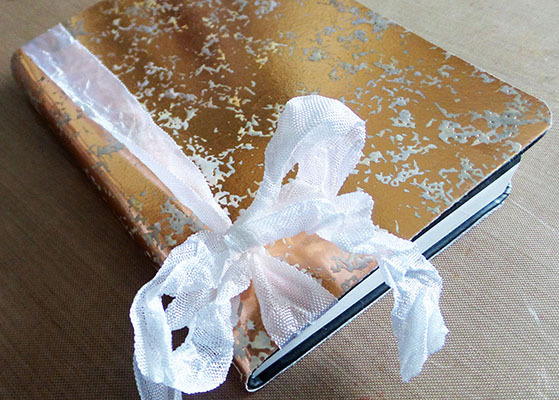 Add ribbon to the journal and tie a bow. 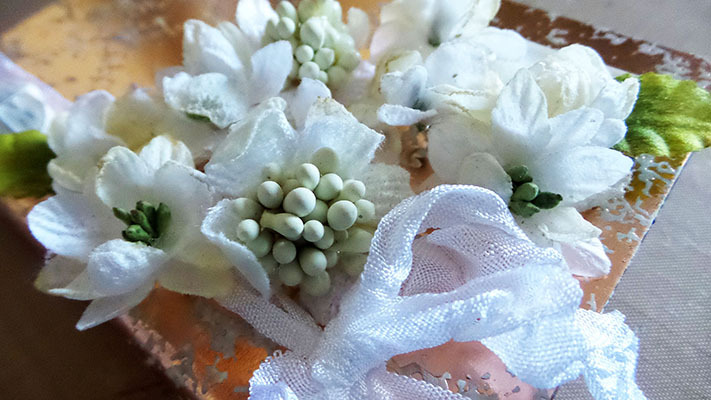 Arrange flowers as desired, then secure in place with hot glue. Embellish with wooden shapes and metal icons, adhering them in place with E6000 adhesive and embellishing with gesso. Add pearl pins and continue embellishing as desired. Share with the lucky recipient. When adhering the paper to the journal, begin on one side, wrap it around the binding and then go to the opposite side.